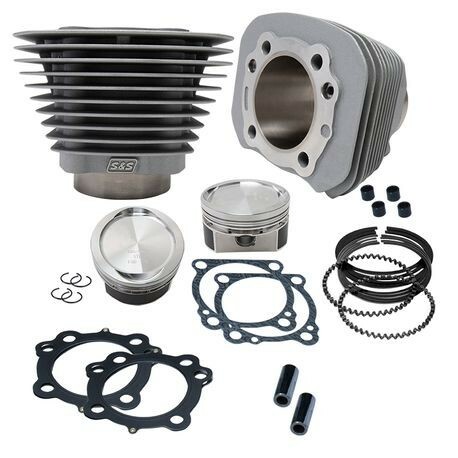 Boost any 883cc Harley-Davidson® Sportster® to 1200cc. No machine shop? No problem, no machining is needed. Don’t want to rebalance your stock 883cc flywheels? You don’t need to since these pistons weigh the same as stock 883 pistons. Cylinder head modification is also not needed. 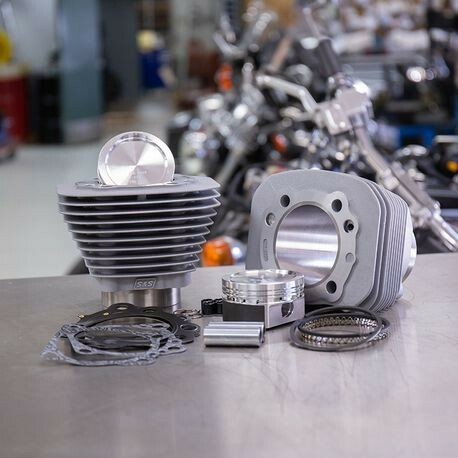 The dished piston dome keeps compression down to a streetable 9.4:1 with stock 883cc heads. Installing this kit takes the same time as replacing a stock top end. It’s just more fun when you’re done. This is a sweet kit. Using the 883 heads on this larger bore kit yields a very fun increase in the bottom and mid-range performance and the higher RPM performance ain't bad either considering the induction limitations of the 883 heads. If you keep your stock 883 gearing the bike will be a blast on surface streets. Easy to install plus quality parts, it adds up to a very worthwhile modification to your (formerly) 883 Sportster. Do it! 883 cylinder heads must be used with this kit. The cylinder fin profile does not perfectly match the fins on 2004 and later stock heads, but the difference is not considered to be objectionable. See Photos. 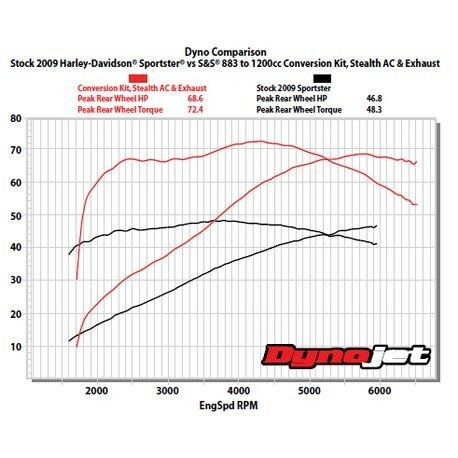 S&S does not recommend boring 2004 and later 883cc cylinders from 3" to 31/2" bore to increase engine displacement to 1200cc due to changes in factory cylinder and liner. A smaller O.D. liner and large chamfer on the bottom of the spigot make boring the 883 cylinder not possible. New cylinders are recommended.